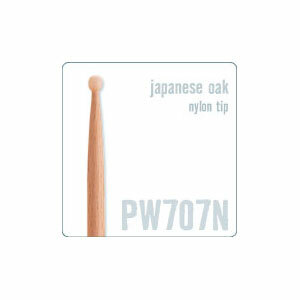 Japanese white oak offers unsurpassed strength and durability. It is very dense and resists chipping and 'wearing soft' when compared to other types of wood. The 707 Nylon tip model is 16 1/4 long, and 9/16 in diameter.